Many employers will be aware addictions are often treated as disabilities for the purposes of human rights legislation and that terminating employment based on disability is therefore discriminatory. In a recent arbitral decision, Regional Municipality of Waterloo (Sunnyside Home) v Ontario Nurses’ Association [Sunnyside], a nurse who stole prescription narcotics from her employer for personal use while on and off duty and was dismissed as a result was returned to work. In Sunnyside, the nurse committing the thefts had initially been prescribed opioids to cope with pain she had been experiencing as the result of a medical condition. Unfortunately for the nurse, she became addicted to the painkillers and began using them recreationally when she no longer required them for her pain. Coworkers began noticing differences in the nurse’s appearance and demeanor, and some became suspicious she may be unwell. Some also noticed the nurse using strange prescribing practices when she was dispensing medications to patients. As it turned out, the nurse was recording medications as having been dispensed when she was actually using them herself, or indicating that she had “wasted” unused portions of medications when she was actually using them recreationally. Ultimately, the hospital terminated the nurse’s employment and her union filed a grievance alleging that the dismissal was discriminatory. The arbitrator agreed with the union, finding that the employer had discriminated against the nurse by firing her based on her addiction. In its defense, the hospital insisted that the termination had not been discriminatory, arguing that the nurse had been fired for violating a zero-tolerance workplace policy for the theft of prescription narcotics. The employer’s argument is unsurprising given the Supreme Court of Canada’s decision in Stewart v Elk Valley [Elk Valley]. In that case, the dismissal of an employee who was involved in a serious workplace accident while high on cocaine was upheld by an arbitrator who that the employee had been fired for his violation of the policy rather than for his addiction—the addiction did not stop him from knowing he was using drugs and reporting that use as his employer’s policy required. The arbitrator distinguished the two cases, finding that the drug addiction had been what caused the nurse in Sunnyside to violate the workplace policy, whereas the Elk Valley employee’s addiction was not directly related to his failure to abide by his employer’s rules. In coming to his decision, the arbitrator considered the fundamental tests for discrimination and set aside the employer’s contention that it had not discriminated against the employee because it had not intended to discriminate by terminating her employment. The arbitrator dismissed this argument as irrelevant given considerable prior case law holding that intent is only a relevant consideration in cases of direct discrimination. Where the discrimination is indirect—that is, where the impugned policy is equitable on its face but discriminatory in its effect—intent is not required to establish a rebuttable presumption of discrimination. The arbitrator noted that although the employer was unaware of the nurse’s addiction until after it had made its decision to dismiss her, the addiction was what led to her misconduct and therefore was a factor in the employer’s decision to terminate her employment. Where a protected ground is a factor in an employer’s decision to dismiss an employee, the termination will be held to be discriminatory, barring any justifications. The arbitrator found that the application of a valid workplace norm had an indirect discriminatory effect on the grievor because her disability interfered with her ability to comply with those norms. The arbitrator went on to consider whether the workplace policy was a bona fide occupational requirement and found that it was not sufficient to justify the nurse’s dismissal. The arbitrator found that the employer had not even considered whether it could accommodate the employee before asserting that it had no option but to dismiss her. Further, the arbitrator found that while the requirements to have patients’ trust, work independently and dispense narcotics may have been legitimate requirements of her position, the employer had not satisfactorily explained why the nurse would be unable to fulfil those requirements. The arbitrator concluded that the hospital could reasonably accommodate the grievor, particularly because the authority that regulates the nursing industry had cleared the nurse for return to service after her completion of a rehabilitation program. The arbitrator held that the employer would not experience undue hardship if it accommodated the grievor. Accordingly, the arbitrator reinstated the employee to her role as a nurse. 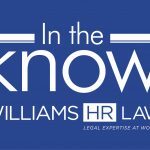 While this decision could still be appealed, it is an important reminder that discrimination does not always require direct knowledge of an employee’s protected characteristic. In certain circumstances, implementing policies that adversely impact protected groups will be sufficient to ground a finding of discrimination. Employers should consider their workplace policies and their application of those policies and assess whether they may be exposing themselves to risks by inadvertently and/or indirectly discriminating against certain groups. A careful analysis of your workplace policies by a qualified legal expert is the best way to ensure that your business is protected and that your policies will withstand scrutiny should any issues arise.